Usually when you are thinking of starting out from scratch again the family steps in to make you see sense. Indeed, not only did they not try to dissuade me but they came in on the company when we took the big step. I am referring to my friend Chiara and my brother, Andrea, who on our visit to the “wonderful” vineyard that I wanted to buy (12 hectares of very old vines, that were practically abandoned, and a further 3 hectares of younger vines, that were equally abandoned) , instead of taking me home to measure my temperature, suggested we also buy the “valuable” ruin to become our company’s headquarters. What could I do? Backing out is not in my character, so I rolled up my sleeves and I got down to work on the vineyard. Initially I had to work on the ground and see to the poles and wires that support the plants; then came the planting of new cuttings (the small vines) where they were missing and then fertilisation and pruning aimed at restoring the balance in the vines. Even if they have not yet reached their best condition, these vines are giving me much satisfaction, and I believe they are grateful that someone is finally looking after them. A special thanks goes to Anomie (visit them at www.anomie.it) for the great work they did, and especially to Silvia for her patience and for managing to read our minds when we were not really clear about our ideas! We are referring to the wine’s “outfit”: the labels, corks and capsules. It wasn’t easy; we had to blend a mixture of visions and sensations that could go together, but which were very different. Francesca and I– who are more “bucolic” – were looking for something “natural” while Andrea ,who is more technological, wanted a drier more minimal style. The result was that we swung from a rural/pastoral effect, such as a “cart with oxen and cypress in the background” to something totally impersonal like a “total black” label with a shiny logo! We are very proud of the little “tongue” that you can remove from the back label and keep to remember the name of the wine cellar after drinking such an excellent wine… the idea, at least, is to help those that appreciate us to remember our name! 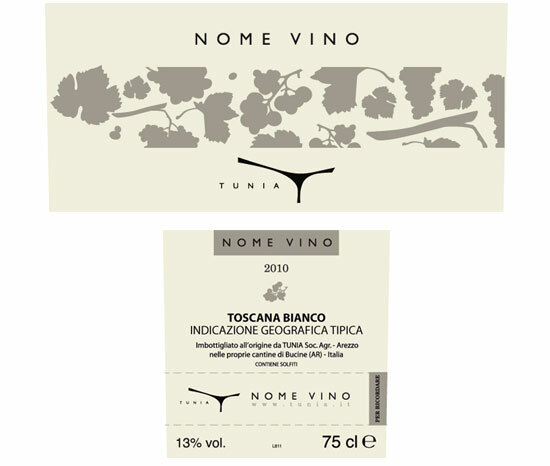 We were inspired by a south-west wind blowing in from Sardinia (talking of which: a hug for Marilena who is also our official consultant for corks), but we’ve since been told that the idea of a detachable portion on the label is also widely used by wine companies in South Africa, so if you come across one let us know. Just as we took it for granted that a quality product was fundamental, so we were equally convinced that a beautiful body has to properly dressed. That’s the reason why we devoted much Good luck and happy spinning!Follow us!Be up-to-date with new free slots daily. time and energy to choosing the right look for our wines as we are certain that the image can help to transmit our values. The look of all the products will be very similar, with only slight details changing here and there. All the bottles have to be of the same family as well (dark Bordeaux truncated cone bottles), as long as the suppliers assist us and we are able to find one that covers all the different capacities. Don’t think that is as easy as it sounds! The wine bottles are 0,750, but also 0.375: with breath tests and the economic crisis no-one wants to buy a larger bottle and then drink it all down – or, of course, leave half of it! Still for now we have managed, and here’s our baby! 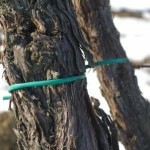 I don’t know if you have ever noticed the ties used to fix the vines to the supporting posts when walking through a vineyard. If you have never noticed them I can tell you that normally people use hollowed PVC string that is undoubtedly easy to use and fairly elastic , but most unattractive, at least in my opinion. 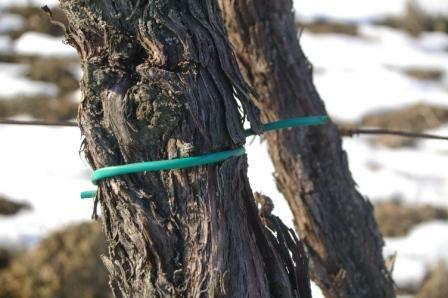 Especially in winter, when the vine is bare, this bright green binding is really an eye-sore. DTo be honest, I was not very keen on it from the start for aesthetic reasons, but when I looked at the figures and I realised that each year roughly 10 kg are used per hectare, I started my personal battle against it. Our vineyard, which is certainly not one of the largest, would have to have buy 150 kg of plastic string tubing for an overall length of roughly 16 km. The point is: where does all this stuff end up every year? Simply, it is left on the ground! This means that if we went on like this, a few decades from now our vineyard would have an amazing plastic cover over the ground with no extra effort. Wonderful! Hence, I decided to look for an alternative and I found a product called Ecolink which is a paper string produced by CentroPlast, a firm from Cortona. This string, which is made from cellulose fibres, can simply be left on the ground once removed from the plants because it is biodegradable, just like any other vegetable matter. My proposal was not very well received at first by all the farm-workers, but in the end they came round and, after the initial difficulties, they have become extremely fast at using this binding. The photo below shows our plants with the cellulose string. In my opinion they are much more attractive than before. If you are interested in finding out more you can visit the site of CentroPlast in the section on products for irrigation. At the event of VinNatur held in Villa Favorita, I was able to talk to many other producers and this led me to reflect on the meaning of natural wine. Unfortunately there is no single definition, it is easy to get confused. 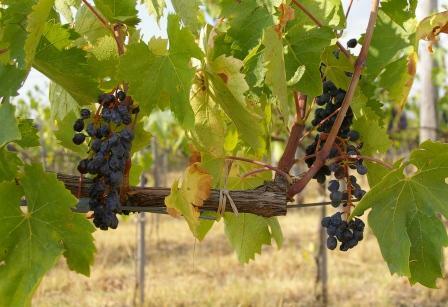 For example, the positions of two of the main Italian associations of growers that produce natural wines (VinNatur and ViniVeri) are not entirely in agreement. Everyone agrees that the grapes must come from vineyards cultivated without the use of synthetic chemicals. The problems start when it comes the processes in the cellar, which should be as non-invasive as possible. But who decides when a practice should be defined as invasive? Should I agree with the producer who is absolutely convinced that it’s necessary to eliminate any form of technological experimentation in the cellar?! So… out with electricity and running water that are a sign of unbridled modernity that must surely be dangerous?! And what about in the vineyard ? Should we get rid of tractors and go back to oxen and horses? In fact, why stop there? Why put the plants in ordered rows with posts and wires? This is not natural at all for the poor vines. Leave them as they would be naturally! This approach is obviously absurd because wine is not, strictly speaking, a natural product as without human intervention it would not be produced.So how do we decide what interventions are “natural” and which are not? I don’t think there is an absolute answer, but it’s up to each individual (producer and consumer) to have the sensitivity to establish the correct rules and limits. So I will explain what the term “natural” means for Tunia – though even as I write I like the term ever less. If I use ice at home to cool drinks in my glass, why shouldn’t I use dry ice (solid carbon dioxide) in the wine cellar to extract colour and aroma from my grapes? Why is it that if I use a strainer when making tea at home I’m not accused of tampering, but if I filter my wine some people will not approve? Personally, when I’m drinking I don’t like to get bits in my mouth, whether it’s from wine, tea or coffee, and even if they are natural. Why in the name of a presumed “naturalness” should we make do with wines that have unpleasant notes? Too often, in fact, “naturalness” has been an excuse for wines with flaws. We believe that, with the help of experimentation and technology, we can obtain natural wines of excellent quality. Perhaps I mentioned before that when Chiara and I go shopping we usually buy organic products. 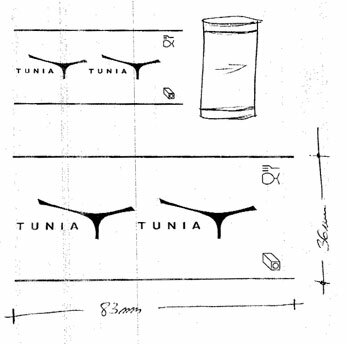 When we were setting up Tunia it was, hence, a natural choice to opt for environmentally friendly farming. From the start we farmed Tunia with organic methods and tried to minimise the environmental impact of our work. Our business cards are made from FSC paper, the ties for the vines are cellulose and we are part of a project to recycle corks. This has led very recently to collaboration between Tunia and Ruggero Mazzilli of SPEVIS – Stazione Sperimentale per la Viticoltura Sostenibile (Experimental Institute for Sustainable Viticulture). Up until now we have only used products based on copper and sulphur, but even these two elements have side effects. Copper has a great environmental impact: as a heavy metal it accumulates in the ground thus leading to an overall decrease in the soil’s biological activity. Sulphur, on the other hand, is toxic for all insects, including those that are useful in the vineyard, and can interfere with the fermentation of the must. For all these reasons – and because many of the products used in organic farming contain synthetic additives (which seems a bit contradictory) – we decided to minimise treatments and, for those that can’t be avoided, to use the most environmentally friendly substances. 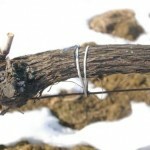 To do this however, you must create a healthier ” vineyard environment “, that is better able to respond to attacks by pests. It ‘s a bit like a person being run down or in good health when influenza is going round: if you’re already weak you’ll probably be in bed for several days, if you’re well overall you’ll probably get away with a cold or avoid it all together. The staff of SPEVIS , that shares our ideas on greater awareness in agriculture linked to the use of less poisonous substances, will help us to make our vineyard “hardier”. Now’s the time! The grape harvest (the most anxious time of the year) is actually underway! his year the Sangiovese from the young vines (just 300 plants), was in a hurry and ripened before the Vermentino (which usually easily beats all the others as regards ripening times): the grapes were harvested at the beginning of September and now both are safely in the cellar. 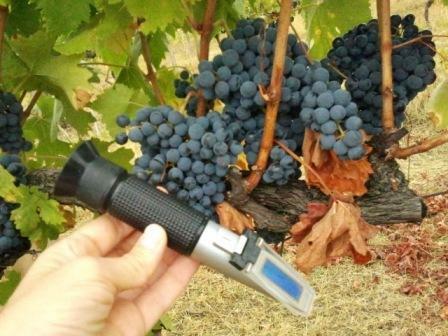 Obviously it is important to carry out analyses in the laboratory to see the amount of sugars, acidity and pH, but in the vineyard itself there are two basic tools that must be used: the refractometer and my mouth. 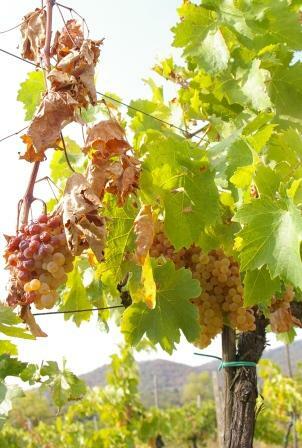 The first enables us to make an approximate assessment of the sugar concentration while the second is essential to grasp the level of phenolic ripening of the grapes. What happens is that while I’m strolling among the vines I pick off some grapes from the rows on my right and some from the rows on my left (this may seem rather silly, but this means I get grapes that have had a different exposure to the sun). I squeeze some of the grapes onto the refractometer to get the juice out. This allows me to see how much sugar they contain. I put other grapes into my mouth, and the fun starts. Do you think I eat them? Well actually no – I taste them. Grape tasting, when done seriously, is both technical and complex and requires you to fill out a number of cards with never-ending parameters to be evaluated. In the early stages of harvesting I carry out this tasting “in the field” in a rather approximate way, but this is very useful to see just what stage the grapes are at and to decide whether the time is right to harvest them, or whether it’s better to wait a while. Apart from the sweetness and acidity of the pulp, the main thing is to evaluate the consistency and possible astringency of the skin, which you chew a specific number of times, until it is reduced to a pulp. Once you’ve finished the tasting you can elegantly spit the skin out and go on to the seeds. The seeds have to be separated from the rest beforehand and observed. The colour gives important clues regarding the degree of lignification and hence the pleasantness of tannins that can been extracted. At this point you then chew the seeds and you get a wealth of information just from the way they break between your teeth. Once they’ve been finely crushed you can spit these out too.I believe that this elegant practice, which requires that those accompanying you are not too squeamish and quick on their feet to avoid getting chewed skin or seeds on their shoes, is the most important way to determine the best time for harvesting. So here we are again! The grape harvest (the most anxious time of the year) is actually underway!!! 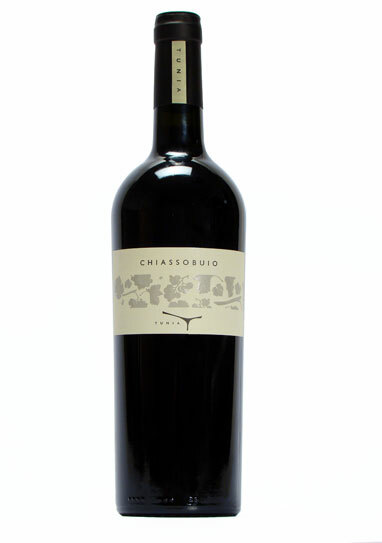 The new vintage of Chiarofiore, the 2011, is on the market by a little. Speaking with a little of people we realized that it is necessary to say something about this wine. For us it is our white wine, we think that it has a beautiful color and it is easy to drink. Actually, we understand that things that seem to us “normal” , they are not normal at all for others. Yes…but, actually, it isn”t a white wine as usually seen : it is a macerated white, also known as orange wine . This wine is vinified like a red wine, with the skins, and therefore has a very strong color, in addition it”s made ​​with a kind of Trebbiano which is pink when fully ripe . The result is a golden yellow wine with pink reflections. Given by the type of vinification, in the mouth, has a slight tannic and a fair body; these are features more of a red wine than of a white one, PTo conclude, the acidity is very strong and , in our opinion, balances a feeling of sweetness due to a small percentage of late harvest. Perhaps, after all these explanations, I have to resign: it is not an easy wine ! And I understand that if you pour it to someone without any explanation, he could be surprised.